Birth 28 November 1904 Ethel Myra McMahon was born on Monday, 28 November 1904 at Camperdown, VIC, AustraliaG. She was the daughter of Maurice McMahon and Ethel Marion Aspland. Marriage 21 December 1935 Ethel Myra was married to Cecil Clarence E Trigg on Saturday, 21 December 1935 at St Andrews Church, Geelong, VIC, AustraliaG. Death 6 September 1993 Ethel Myra McMahon died on Monday, 6 September 1993 at East Burwood, VIC, AustraliaG, at age 88. Married Name 1935 As of 21 December 1935, her married name was Ethel Myra Trigg. Birth 25 June 1903 Cecil Clarence E Trigg was born on Thursday, 25 June 1903 at Meredith, VIC, AustraliaG. Marriage 21 December 1935 Cecil Clarence E was married to Ethel Myra McMahon, daughter of Maurice McMahon and Ethel Marion Aspland, on Saturday, 21 December 1935 at St Andrews Church, Geelong, VIC, AustraliaG. Death 16 September 1977 Cecil Clarence E Trigg died on Friday, 16 September 1977 at Geelong, VIC, AustraliaG, at age 74. Birth 15 September 1906 Leslie Maurice John McMahon was born on Saturday, 15 September 1906 at AustraliaG. He was the son of Maurice McMahon and Ethel Marion Aspland. Marriage 21 December 1935 Leslie Maurice John was married to Iona Cameron on Saturday, 21 December 1935. Death 22 December 1995 Leslie Maurice John McMahon died on Friday, 22 December 1995 at East Geelong, VIC, AustraliaG, at age 89. Birth 14 November 1907 Albert William McMahon was born on Thursday, 14 November 1907 at AustraliaG. Marriage 19 September 1936 Albert William was married to Doreen Kathleen Rainey on Saturday, 19 September 1936. [S41] Index of Deaths in Victoria, Vic Deaths 1921-85, Reg. No. 03712. Birth 30 October 1911 James Neil McMahon was born on Monday, 30 October 1911 at AustraliaG. Marriage 19 December 1936 James Neil was married to Elsa Ferguson on Saturday, 19 December 1936 at VIC, AustraliaG. 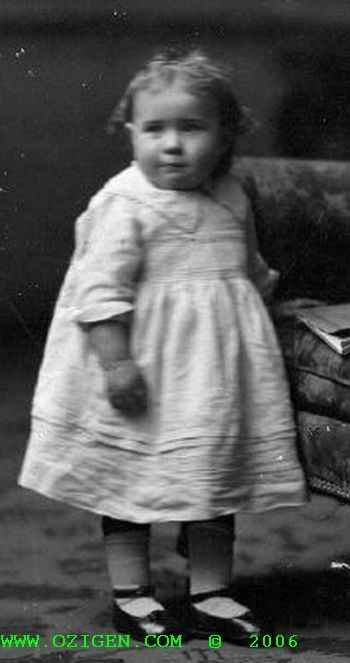 Birth 22 October 1914 Isla Margaret McMahon was born on Thursday, 22 October 1914 at Camperdown, VIC, AustraliaG. Marriage 2 October 1943 Isla Margaret was married to Lawrence Norman Karutz, son of Albert Karutz and Meta Martha Kurtz, on Saturday, 2 October 1943 at St Andrews Church, Geelong, VIC, AustraliaG. 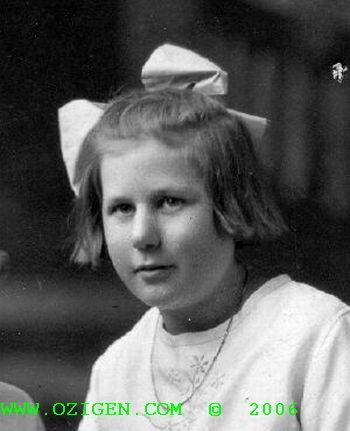 Married Name 1943 As of 2 October 1943, her married name was Karutz. Birth 4 February 1921 Dorothy Jean McMahon was born on Friday, 4 February 1921 at Camperdown, VIC, AustraliaG. Marriage 28 June 1941 Dorothy Jean was married to Ivan Claude Middleton on Saturday, 28 June 1941 at Geelong, VIC, AustraliaG. Nickname Dorothy Jean McMahon was often called Jean. Married Name 1941 As of 28 June 1941, her married name was Middleton. Dorothy Jean McMahon had an obituary appear as follows: MIDDLETON, Dorothy Jean. 4/2/21 - 10/2/14 Cherished mother of Ross and Nola (Dempsey) and friend of John. Dearly loved Nan of Craig and Michelle, Jason, and Andrea and Tony. Loved Great-nan of Benjamin, Jesse, Samuel, Trenton, Ethan and Tommy. A remarkable inspirational lady now at peace. Reunited with her beloved Ivan. As per Jean's wish a Private Service will be held. Birth 10 April 1906 Reginald Walter Oakley was born on Tuesday, 10 April 1906 at Camperdown, VIC, AustraliaG. He was the son of Walter Oakley and Nellie Eliza Aspland. Marriage 29 October 1932 Reginald Walter was married to Alice Roach on Saturday, 29 October 1932 at Melbourne, VIC, AustraliaG. Birth 15 April 1909 Lynda Lillian Oakley was born on Thursday, 15 April 1909 at Camperdown, VIC, AustraliaG. She was the daughter of Walter Oakley and Nellie Eliza Aspland. Marriage 16 December 1939 Lynda Lillian was married to James Page on Saturday, 16 December 1939 at Melbourne, VIC, AustraliaG. Married Name 1939 As of 16 December 1939, her married name was Lynda Lillian Page. Birth 6 August 1910 Lorraine Oakley was born on Saturday, 6 August 1910 at Camperdown, VIC, AustraliaG. Marriage 17 December 1938 Lorraine was married to Alan Hughes on Saturday, 17 December 1938 at Melbourne, VIC, AustraliaG. Death 7 July 1988 Lorraine Oakley died on Thursday, 7 July 1988 at Essendon, VIC, AustraliaG, at age 77. Married Name 1938 As of 17 December 1938, her married name was Lorraine Hughes. Birth 23 December 1912 Evelyn Madge Oakley was born on Monday, 23 December 1912 at Camperdown, VIC, AustraliaG. Marriage 18 April 1935 Evelyn Madge was married to Colin Clarke on Thursday, 18 April 1935 at Melbourne, VIC, AustraliaG. Married Name 1935 As of 18 April 1935, her married name was Evelyn Madge Clarke. Birth 28 December 1915 Alan Oakley was born on Tuesday, 28 December 1915 at Camperdown, VIC, AustraliaG. Death October 1994 Alan Oakley died in October 1994 at AustraliaG at age 78. Article The following was composed by Allan's sons Stephen and Brendan and spoken by Stephen at the funeral service at Tuncurry Catholic Church on 20 October 1994. Dad was born in December 1915 at Camperdown in Victoria - the 5th of six children born to Walter and Nellie Oakley. The family moved to Melbourne and Dad's schooldays were spent at Prahran Primary and Prahran Tech. Due to the harsh economic conditions of those times - it was the late '20' - he was, like many, thrust into the workforce at an early age and considered himself fortunate to find employment with a manufacturer of Plaster products in Port Melbourne, named Derite. It's indicative of some of Dad's overriding qualities that - interrupted only by the war years - he remained an employee of that Company until he retired : a measure of his tenacity and constancy, his loyalty and his determination to provide a foundation of the utmost stability for his family. It was during these pre-War years (Dad's late teens and twenties) that he became involved in one of the great influences of his life - cycling. It was a high profile sport in those days and he became an enthusiastic and quite successful road racer with the Malvern Amateur Cycling Club, competing in such events as the gruelling Melbourne to Warrnambool Race (a classic still contested today) over a distance of some 180 miles. He was quietly proud of one effort in that event when he had snapped one handlebar completely off midway in the race and yet, completed the distance and made up ground in the field, grasping the one remaining handlebar and the stub of what remained of the other. Tenacity and endurance, again. I've spoken to several of his old mates from that era in the last couple of days. As well as recalling many happy times in Dad's company, especially on the weekend training rides, they spoke of the way he revelled in the exposure to the bush country in which they trained and camped out - a love of the bush and the outdoors which was to endure throughout his life and which was also one of the many gifts he passed on to my brother and sister and myself... although as children we didn't embrace his enthusiasm for the outdoors when it meant the compulsory winding down of the car windows whenever we passed through his favourite stretch of the Black Spur Mountains, flooding the car with freezing air while he inhaled extravagantly and exhorted us all to do the same. Perhaps not oddly, I've been doing just that for many years now whenever I drive through that stretch of road - and I wouldn't mind betting my brother does too! When War was declared in 1939, Dad enlisted in the Army and volunteered for the Australian Commando Squadron on the promise of some 'jungle' training in his beloved outdoors, which turned out to be at Wilson's Prom. Once again he relished the environment - and I've recently learned his outstanding fitness resulted in his holding the Squadron record for the regular training run from Tidal river to the top of Mt Oberon. His contingent was sent to Timor as part of a small group known in War Histories as "Sparrow Force". They were, before long, overwhelmed by a massive Japanese invasion and retreated to the mountains where they lived off the land with the assistance of Timorese native people and in subsequent months conducted a dangerous but highly effective campaign of guerilla warfare. It was during one of these actions that, as platoon leader, his conduct earned him an individual commendation for bravery. This fact - and other achievements - would not be widely known, then or now, as Dad was not ever the least inclined to self-promotion. The Timor Commandos were eventually evacuated from the island in dramatic circumstances having suffered extreme physical deprivation and illness - and Dad having exhibited, along with his comrades, those lifelong qualities of tenaciousness, endurance - and courage. These qualities were never more evident than in the recurrent bouts of severe ill-health he suffered in recent years - he was not a quitter. He saw further War service in New Guinea, and was ultimately discharged with the rank of Lieutenant. 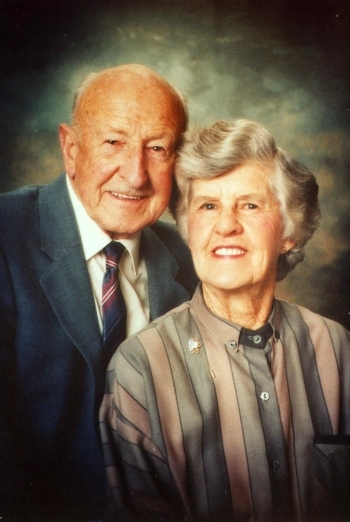 After the War he met a young former WAAF, named Joan, and in what was easily the best "career" move of his life (a fact he would never have disputed), married her in 1947. They lived briefly in South Yarra and then settled in Box Hill in Melbourne and together raised three children, myself, Kerry and Brendan - in an atmosphere of stability, love and support for which there is no recipe, or price. He returned to work with Derite and through those qualities I keep referring to, plus ability and plain hard work, rose to the highest position the Company could offer its employees, that of Australian General Manager. He continued to love the outdoors and active sports - in the early days via annual Pilgrimages to the bush hut we called The Shack, built with a group of mates just before the War on the slopes of the Cathedral Range near Buxton; later tennis and then squash were favourites and later again in retirement, Bowls. He basically loved all sports, but he had a special passion for the Sport of Kings, and as an avid researcher, his opinions were keenly sought, not the least by my own wife Vicki before her annual Oaks Day venture with "the girls". He made friends easily throughout his life and I think that was largely because he made every gathering that little bit brighter because of his unrelenting good cheer and always positive outlook. He wasn't what you'd call musical, but he was given to regular outbursts of rather tuneless whistlings and hummings, Tra-La-Lees and Dum-de-Dums simply as another expression of that constant cheerful nature. And yet... there is at least one Melbourne restaurant whose patrons would remember his public rendition of what became his adopted anthem, "I Was Born Under A Wandering Star"; delivered in a gravelly bass in a key even lower - (if that's possible) - than that made famous by Lee Marvin. It received a generous ovation ... as did his encore. Even the morning reveille in rousing us for school was delivered with intolerable good cheer (and often, the wet face washer). When he retired with Mum to Forster he quickly found and made enduring friendships, and also came to love the special qualities of this area. He had a rich life, in every important sense, and enriched beyond measure the lives of his immediate and extended family, and of his friends. [S305] Letter, Stephen Oakley to Robert Mote, 1994. 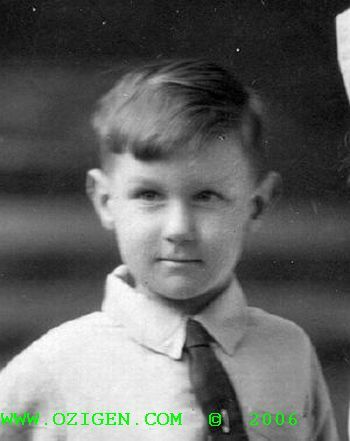 Birth 27 December 1916 Reginald Lloyd Holmes was born on Wednesday, 27 December 1916 at Cootamundra, NSW, AustraliaG. He was the son of Francis Lloyd Holmes and Hilda Mary Aspland. Death 22 March 2003 Reginald Lloyd Holmes died on Saturday, 22 March 2003 at Cootamundra, NSWG, at age 86. The recent list includes an MBE for the esteemed Cootamundra soldier son of Mr and Mrs Lloyd Holmes. The citation about Major Reg Holmes: "Since February 1943, Major Holmes has been largely responsible for the smooth working of the intelligence section. He has materially contributed to the success of forward intelligence parties." The announcement was made to the packed Town Hall function for the school last night. The Cootamundra "old boy" should have heard the hearty cheers! The naming of the new rehabilitation and day care centre after Reg Holmes was a fitting tribute, District Hospital Boards Chairman Barry McGinnity said on Saturday. He said that When Mr Holmes decided to move to Canberra he demanded that there be no farewell or presentations but the board had come up with naming the new centre after Reg. Mr McGinnity said that Reg Holmes had given distinguished service to his community and his country during World War II. "You don't let a man like that leave without recognition." He also told how Mr Holmes had earned the title of "Mr Fixit" and how he had invented equipment ("unique and the best") now being used in hospital operating theatres in NSW. "He has a will to do things and what he does he does well, yet I don't know anybody who shuns publicity like Reg Holmes," he added. Mr Holmes, who spent all his life here, was a member of the Hospital Board from May 1961 until May 1980 and chairman from June 1964 until November 1966. In June 1962 he also became a member of the Advisory Board of the Mercy Hospital. Mr Holmes was elected as deputy chairman of the Riverina Reginal Hospitals Advisory Committee at its inaugural meeting in 1966 and held that position until 1969. 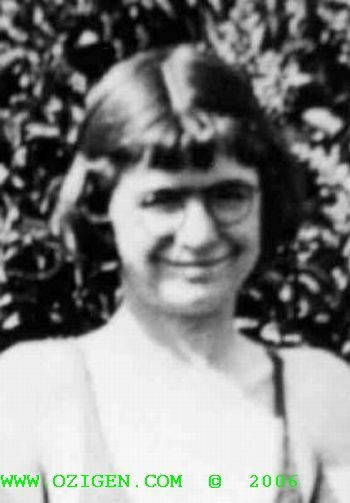 Birth 2 July 1910 Lorna Lloyd Holmes was born on Saturday, 2 July 1910 at Camperdown, VIC, AustraliaG. She was the daughter of Francis Lloyd Holmes and Hilda Mary Aspland. Marriage 29 September 1945 Lorna Lloyd was married to Keith Donald Turnbull on Saturday, 29 September 1945 at Strathfield, NSW, AustraliaG. Death 27 May 1985 Lorna Lloyd Holmes died on Monday, 27 May 1985 at Camden, NSW, AustraliaG, at age 74. Married Name 1945 As of 29 September 1945, her married name was Turnbull. Birth 1885 Mary Adeline (Minnie) Knight was born in 1885 at AustraliaG. Marriage 19 August 1914 Mary Adeline (Minnie) was married to Alfred Herbert Aspland, son of William Middleton Aspland and Elizabeth Clarissa Teresa Martin, on Wednesday, 19 August 1914 at Narrandera, NSW, AustraliaG. Death 8 May 1969 Mary Adeline (Minnie) Knight died on Thursday, 8 May 1969 at Young, NSW, AustraliaG. 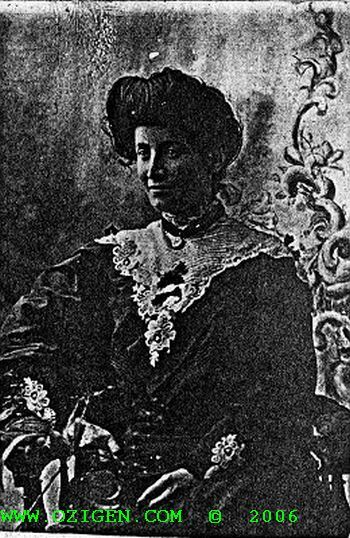 Nickname Mary Adeline (Minnie) Knight was often called Minnie. Married Name 1914 As of 19 August 1914, her married name was Aspland. Birth 2 January 1924 Barbara Aspland was born on Wednesday, 2 January 1924 at Lockhart, NSW, AustraliaG. She was the daughter of Alfred Herbert Aspland and Mary Adeline (Minnie) Knight. Death 15 June 2003 Barbara Aspland died on Sunday, 15 June 2003 at NSW, AustraliaG, at age 79. End-Line Barbara Aspland has no known descendants.